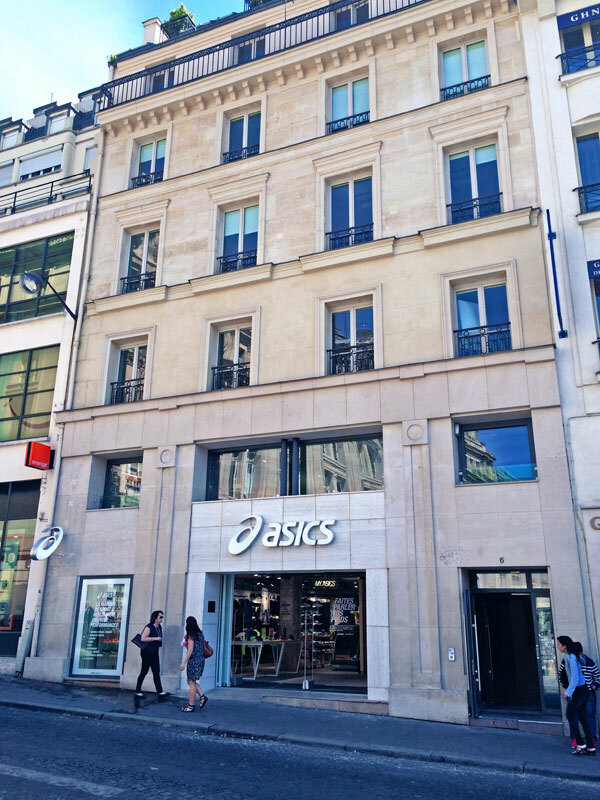 into have designed the lighting for the new concept store for leading sportswear retailer ASICS in Rue d’Amsterdam, near Gare Saint Lazare, Paris. 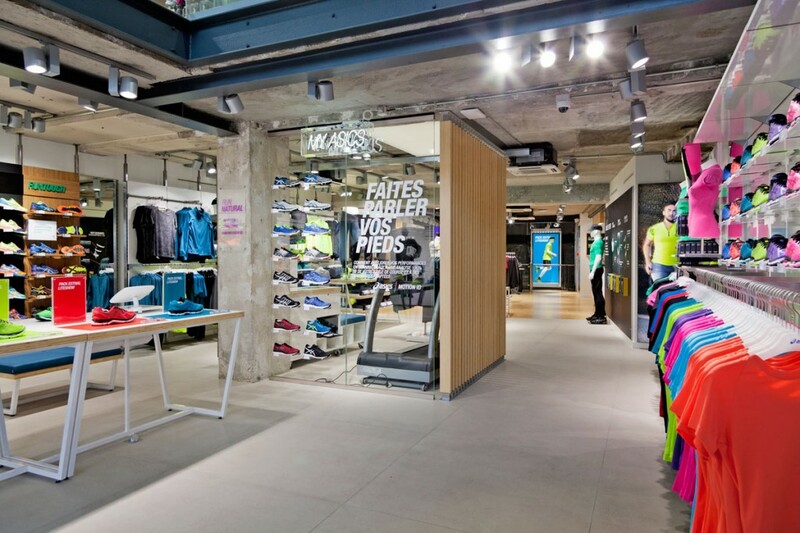 The overall design concept takes direction from ASICS’s corporate ethos, starting with their founding philosophy: “Anima Sana In Corpore Sano”- meaning a sound mind, in a sound body. 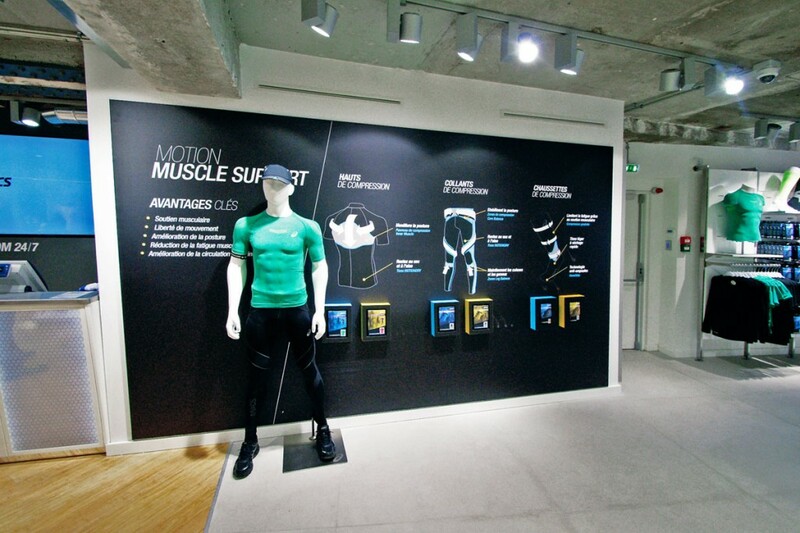 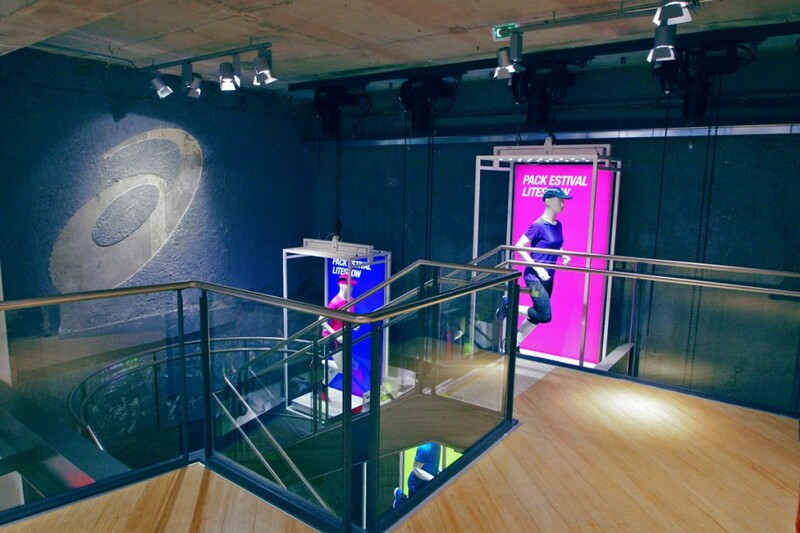 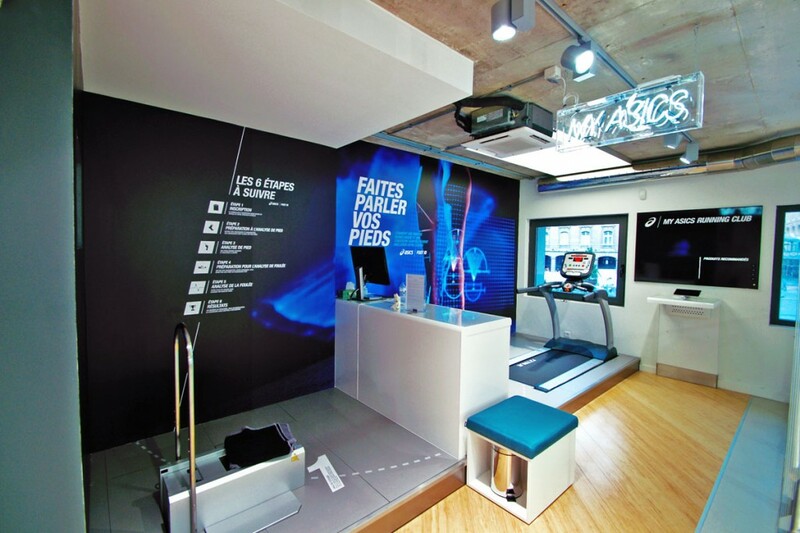 The corporate vision has also been incorporated into the design, namely to ‘Create quality lifestyle through intelligent sport technology.’ The Paris store is the first showcase of a new ‘The Home of ASICS’ concept. 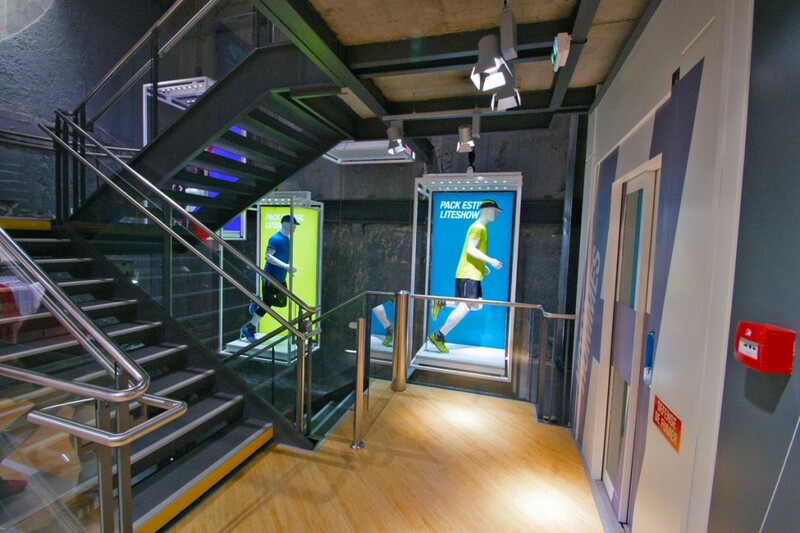 Working with interior designers Wests and architect Godel Tabora Into have created a lighting scheme based around 4200K CDM sources using a range of optics and glare control accessories. 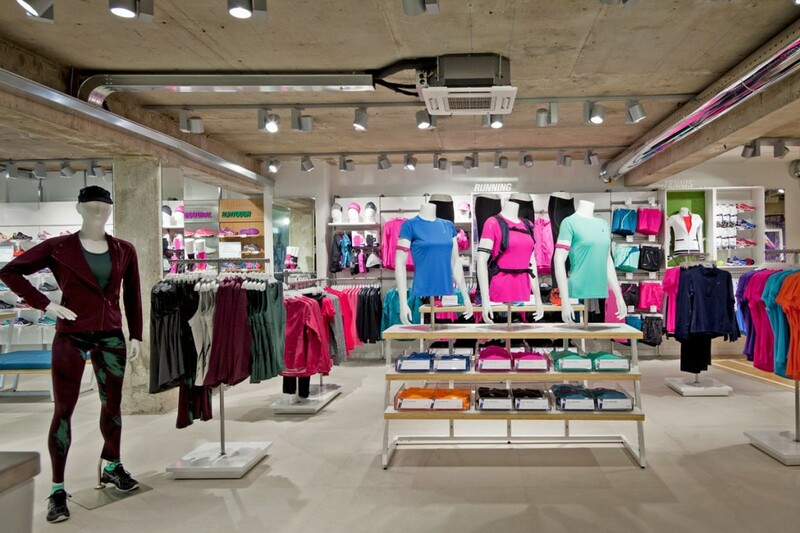 To fit with the industrial look we have used barn doors on some fittings. 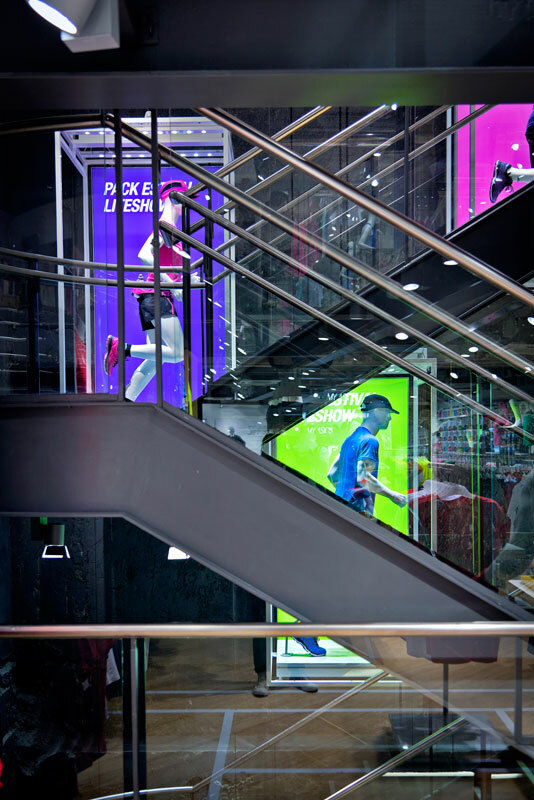 Into are the retained lighting designers for the ASICS European rollout and specify both metal halide and LED light sources depending on the specific requirements of each store. 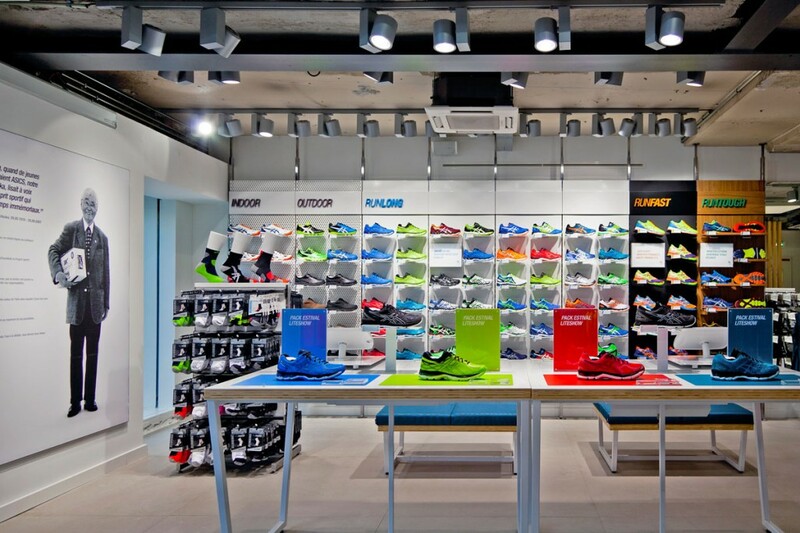 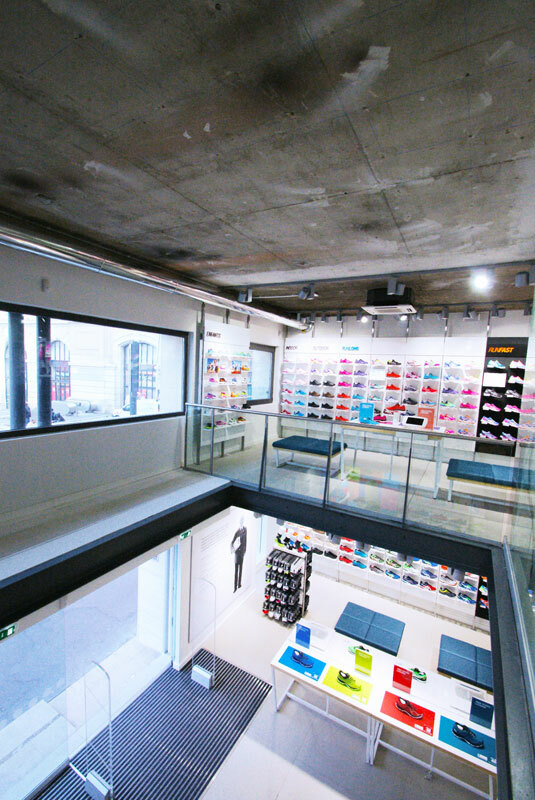 CDM provides excellent colour rendering of product along with enhanced sparkle on the whites of trainer soles and on gloss interior finishes – this was a requirement for this new concept flagship store.